Airbus has exceeded its targets for 2015, achieving a new record of 635 aircraft deliveries for 85 customers of which 10 are new. These deliveries comprise: 491 A320 Family aircraft; 103 A330s; 27 A380s; and 14 A350 XWBs. This production achievement means that Airbus’ aircraft deliveries in 2015 were up for the 13th year in a row, surpassing the previous year-end delivery record of 629 aircraft – set in 2014. Airbus also achieved 1,036 net orders from 53 customers (of which eight are new), comprising 897 single-aisle aircraft and 139 widebodies. At 2015 year-end the overall backlog had climbed to a new industry record of 6,787 aircraft valued at US$996.3 billion at list prices. Overall, 2015 has been a year of solid and wide-ranging Airbus accomplishments. For example, the A320neo was certified by the aviation authorities on both sides of the Atlantic just five years after its launch. In addition, Airbus delivered 14 A350s – making good its pledge to the airlines who are now benefitting from the world’s most efficient and advanced airliner. Important progress was also made on the A350 programme’s next variant, the A350-1000 – whose major components and structures are now taking shape across various production sites. Likewise, parts are now in production for the first A330neo – with the machining of its first engine pylon and centre wing-box components. In addition, there has been good news for the flagship A380, 10 years after its first flight, with the programme breaking-even for the first time. Another notable highlight was of course September’s official opening of the first Airbus factory in the US, at Mobile on Alabama’s Gulf Coast, where between 40 and 50 A320 Family aircraft will be produced annually by 2018. On the other side of the globe in China, additional orders for the A330 not only complements our plans for a new A330 completion and delivery centre in Tianjin, but also helps to smooth our transition towards the A330neo. Furthermore, in 2015 Airbus launched three new incremental aircraft developments which include: the Long-Range version of the A321neo which will offer true transatlantic operation; the Regional version of the A330 which is optimized to seat up to 400 passengers on missions up to 3,000nm; and the Ultra-Long-Range version of the A350-900, capable of 19-hour flights. Headquartered in Toulouse, France, Airbus is the leading commercial aircraft manufacturer with the most modern, comprehensive and efficient family of airliners, ranging in capacity from 100 to more than 500 seats. Employing some 55,000 people, Airbus champions innovative technologies and has sold over 16,300 aircraft to around 400 customers worldwide. 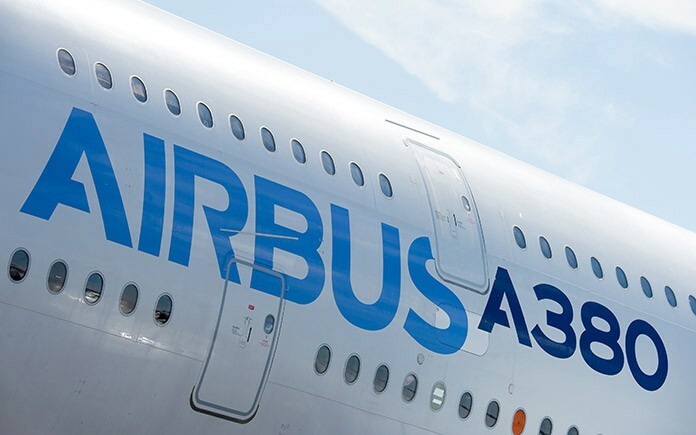 Airbus has design and manufacturing facilities in France, Germany, the UK, and Spain, as well as subsidiaries in the US, China, Japan, India and in the Middle East. In addition, it provides the highest standard of customer support and training through an expanding international network.